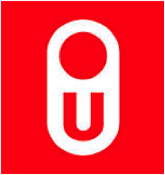 The Open University of the Netherlands (OUNL) develops and provides open and distance higher education. The OUNL also conducts research into teaching and learning, specifically but not exclusively in distance and lifelong learning settings. The OUNL is the internationally recognised Top No.1 Dutch University for Online Learning. There is a special focus on the use of new technologies and teaching/learning methods to provide effective, efficient, attractive and accessible lifelong learning facilities and education. Within the Open University, the Welten Institute integrates expertise in the learning sciences and technology-enhanced learning. Welten Institute is among the leading international research institutes in technology-enhanced learning (TEL) with highest reputation and the biggest one in Europe in this field, mainly through the TELI research group: Our focus is on learning and teaching innovations in technology enhanced learning environments. The Welten (research) programme combines expertise in the areas of open education and innovations, pedagogical scenarios for formal and informal learning, social media mash-ups (personal learning environments), social and situational awareness, usability, as well as expertise related to content authoring, content management, workplace learning and lifelong learning at large. In the past, the Welten Institute (formerly known as CELSTEC) with its excellent research teams of around 90 researchers (thereof 60 professors and PhD level) has been an active coordinator and participant in numerous European and international research projects, also from FP5 to H2020 (e.g. Inspiring Science Education (ISE), Open Discovery Space (ODS), LinkedUP, LACE, Unfold, TENCompetence, LTfLL, GRAPPLE, idSPACE, Handover, PATIENT). Dr. Christian M. Stracke is Associate Professor for Open Education and Innovation at the Welten Institute of the Open University of the Netherlands (www.ou.nl/web/welten-institute). In addition he is Advisory Professor at the East China Normal University (ECNU) in Shanghai, and Adjunct Professor at the Korea National Open University (KNOU) in Seoul. As an internationally recognized expert and innovator, his main working fields are Open Education, technology-enhanced learning, educational policies and philosophy, learning innovations and quality, impact assessment and competence modelling. He holds a PhD in Economics (Dr. rer. pol.) from the University of Duisburg-Essen and a Magister Artium (M.A.) in Educational Sciences from the University of Bonn. He has founded and established ICORE, the International Community for Open Education and Research (www.ICORE-online.org) and is Conference Chair of LINQ, the annual international conference on Learning Innovations and Quality (www.learning-innovations.eu). 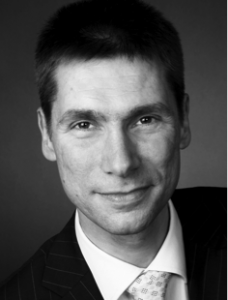 He has gained extensive experience (> 15 years of business and research in HR and E-Learning) in leading large scale projects and research teams (e.g., as Managing Director of TELIT) and in consulting and supporting institutions and public authorities to develop long-term policies and to improve learning innovations and quality. Many research projects (100+, > 50 Mio EUR) were and are coordinated and supervised by him. He has established eLC, the European Institute for Learning, Innovation and Cooperation (www.elc-institute.org) and LiLab, the Learning Innovations Lab Collective (www.lilab.eu). His latest news online at: www.opening-up.education. Dr. Esther Tan is Assistant Professor at the Welten Institute, Research Center for Learning, Teaching and Technology of the Open University of the Netherlands (OUNL). She earned her doctorate in pedagogy at the University of Munich where her dissertation work examines the effects of classroom scripts on individual and collaborative learning in science inquiry learning. 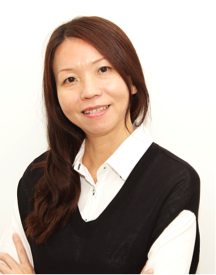 She was an education officer with the Educational Technology Division, Ministry of Education, Singapore and was also part of the research team for the Singapore Future School project on mobile learning at the Learning Sciences Lab, National Institute of Education. Her research interests include knowledge building, mobile learning, technology-enhanced learning in formal and informal learning contexts and shared agency, in particular, teacher agency and student autonomy in future learning environments. She joins OUNL in Nov 2015 and is presently involved in three European projects: MOOQ (Quality of MOOCs), LELLE (Let’s Learn to Learn) and ISE (Inspiring Science Education). 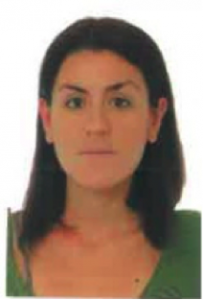 Alessandra Antonaci is PhD Candidate and researcher at the Welten Institute (Research Center for Learning, Teaching and Technology) of the Open University of the Netherlands and SIKS Member. She studied Adult Education and received her M.Sc. in Education with full marks in 2007. Afterwards she worked in two of the most renowned shipping companies in Italy in the HR Department, initially as a trainer, and later also as recruiter, gaining experience in delivering and designing both e-learning and traditional courses. In 2012, she became a research fellow in the areas of Cultural Heritage (tangible and intangible) and Serious Games at the Institute for Educational Technologies (ITD) of the Italian National Research Council (CNR) in Genoa, Italy. Her main interest was and is the design of technology-enhanced learning. Thus, she started her PhD project in October 2015 at the Welten Institute and is involved in three European projects (MOOQ, PBL 3.0 and EBE-EUSMOSI). 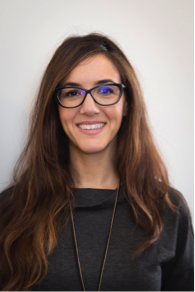 Katerina Riviou is PhD Candidate and researcher at the Welten Institute (Research Center for Learning, Teaching and Technology) of the Open University of the Netherlands. She holds a M.Sc. in eLearning (Department of Technology Education and Digital Systems, University of Piraeus) and has attended the Training Programme for Teachers in the School of Pedagogical and Technological Education. Since 2003 she has participated in several R&D projects related to education and training as a researcher or project manager. She has also teaching experience in the field of ICT in primary education as well as in vocational training institutions. Since 2015 she is working at the Welten Institute where she is involved in the management and research for the MOOQ project. Her PhD project focuses on quality aspects of Massive Open Online Courses (MOOCs) focusing on their design and particularly personalization for enhancing the quality of learning experiences.